It is safe to say that the driving force behind stories is conflict. Light versus dark. Good versus evil. Man versus nature. The popular girl versus the spunky, nerdy girl. As most stories train us to do, we root for the hero. It makes sense. We are in the hero’s mind. We follow his struggles and celebrate his victories. We despise the force going against our hero, the thing that is thwarting his quest. But what about the villains? We may not like them, we may not cheer for them, but the story cannot progress without them. So what make an excellent villain? 1. The villain has to have a reason for destroying the world. I read a novella titled Fairest by Marissa Meyers. 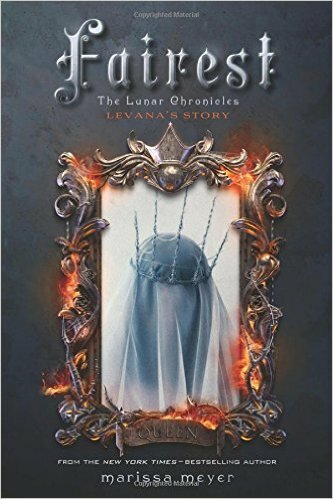 It showed the backstory behind the evil queen in the Lunar Chronicles series. It is a perfect example of how to make a reader understand a villain, but not necessarily like them. I’ll admit, the evil queen is nuts! But now I understand what motivates her. 2. The villain has to be one of the most complex characters in the story. While the hero can still be a hero without a tragic backstory, a villain has to have a background that explains what motivates him. They can be charming, yet brutal. They can be beautiful, yet destructive. One of my favorite characters is a villain named Pagen Min. He is from a video game called Far Cry 4. He is certifiably crazy and cruel, but you (as the audience and player) can’t help but like him on some level. Sure he kills and he is a tyrant, but he is so darn friendly and charismatic. 3. The villain has to stir deep emotions. When you write about a bad guy, there has to be strong emotions attached to the character. They have to move the audience. There can be pity, hate, anger, sorrow, etc. as long as there is something. 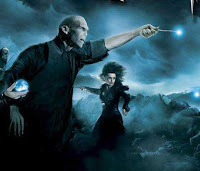 Let’s look at Lord Voldemort. For the first three books of the Harry Potter series, we just catch glimpses or hints of He-Who-Must-Not-Be-Named. But at the end of the fourth book to the end of the series, we see just how awful and evil Voldemort can be. We feel fear and hatred toward him every time he appears, and when his end is met, we feel more than victory. We feel satisfaction that good finally triumphed over evil. So those are my top must-haves for a villain. Are there any you would add? Who is your favorite villain? I agree with how important it is to have motivation for your villain. That was something I struggled with in my book but I think I've got it now. Great post! As always, wonderful thoughts in your post. In fact, I would go so far to say that a good villain is essential to all literature, both fiction and non-fiction. In fiction, there's usually a deliciously evil villain; easy to despise. In non-fiction, the villain is often personified in the form of the non-living; a steep mountain to climb, a social crisis to resolve, a mathematical problem to work through. It's as old as the universe itself. Creation cannot be understood without understanding destruction. While we grieve for the human villains that have made such horrible life choices at some point (never mind the catalyst that got them there) and are afflicting the innocent and virtuous, we must have them to serve as a polarizing force. So, bring on the baddies; we secretly need you.